Objects lost in the study rooms of Edisu… but then found! Home/News/Objects lost in the study rooms of Edisu… but then found! Lost (but then found) properties! Have you ever studied in one of the study rooms of Edisu and forgot a personal object? Don’t worry, you can recover it! You just have to ask at the reception of the study room in which the object has been found, or visit the website of Edisu. a pair of headphones in Sala studio Ormea 11/Bis. If you can’t recover them, they will be kept in the Sala studio Michelangelo Buonarroti 17/BIS , in the office Prestito testi universitari for about 6 months. 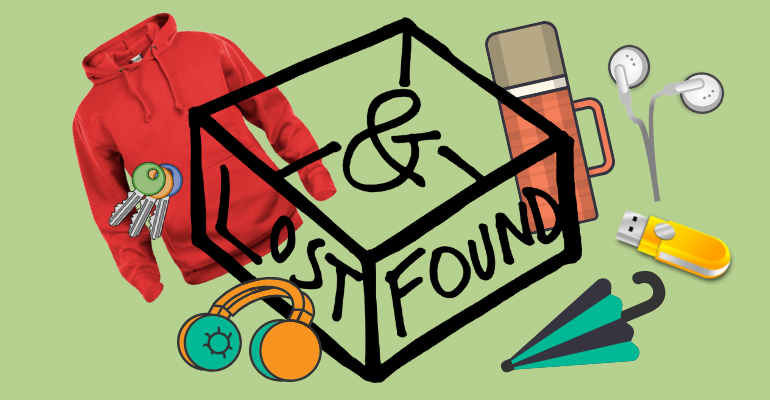 Remember that during the first 15 days from finding, the object remains in the reception of the study room where it has been found, but, if you don’t remember where you may have lost it, you can follow updates on the website or on Edisu social media channels and then you can go and take it at the Prestito testi universitari!